Great tip (show the full set of spikes), which is easily understood. Thanks for commenting Danny. More tips coming your way here. Stay tuned. Actually, this kind of think has not helped me personally. It worked for me while making slow motion type swings, but I couldn’t make it work when hitting balls. Good information none the less. Hi Jim, thanks for commenting. I appreciate your insights there. Your descriptions seem a bit complex though. I like to keep my sequencing really really simple. Glad it’s working for you. Show your spikes – Thank you! I love it. Works all the time! If you want an efficient swing ,go to PAUL WILSON’s site(IGNITION GOLF):he”ll teach youall you ned to know in great detail. What’s shown here is his “TOUCH YOUR LEGS “position . The right leg must straighten prior to impact ,be locked straight at impact ,and your weight should be on all of the sole of the leftfoot ,whch doesn’t move at all (It may “roll over “though a bit ,but not much. As BRIAN rightly demonstrates ,all the spikes of the right foot are visible when finished ,the right foot is set on the right big toe .All what BRIAN shows is perfect and fine ,but he doesn’t teach how to speed up the right hip to get speed .To get there ,you have to push from the right insole and right big toe . Hip Speed is of essence! Great tip Brian, in the Boy scouts there was an acronym that got used often; KISMIF Keep it simple make it fun.Well your new acronym is easy to remember and can also help with swing rhythm. 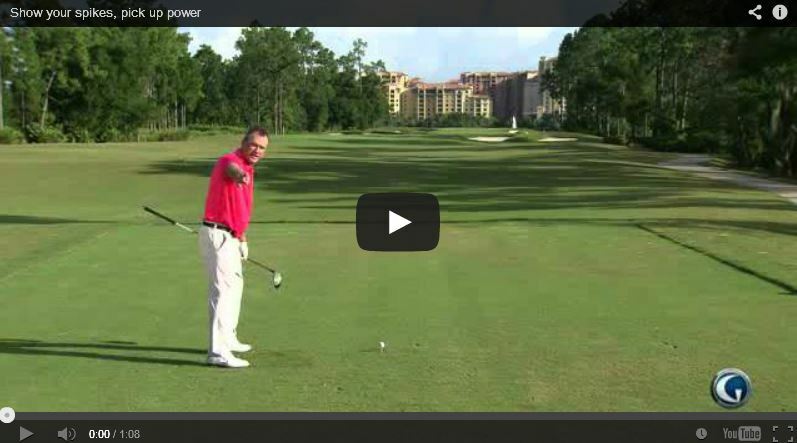 SASTYB Show all spikes (on the back swing); Too your buddy (on the down swing & finish). The alignment rod looks like an excellent drill, however I’m sure it’s going to take quite a bit of practice. Question: You mentioned turning the LEFT FOOT IN A LITTLE, but when you did the drill you pointed it out slightly. Why ? 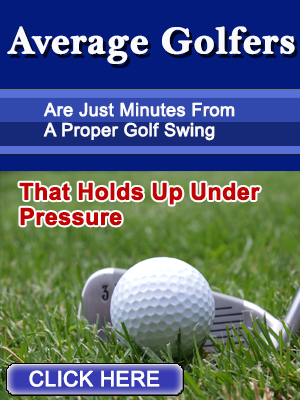 A previous poster said that the swing sequence worked OK for slow practice swings but not when hitting golf balls. I have the same problem. How does one keep from becoming “ball bound”. Is it pure muscle memory through repetition without a ball? Thanks for comment Zach. Muscle memory through repetition is definitely one way to do things and it works, yes. I personally work everything in my mind through mental practice focusing on one thing at a time and then connecting them. Your swing may not need a complete overhaul and you can just check these tips and implement what you think will correct a problem you might have.